I love Christmas and Easter, but my favorite holiday of all is Earth Day. I don’t know, I guess it’s the little hippie in me. I found an old diary of mine from when I was in 6th grade. 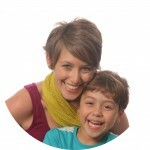 It said something like, “I think I’m an environmentalist.” Haha – of course I did. I was talking about global warming and the ozone layer in my diary and how I was worried about it and what I can do to help it. About that same time, I decided I wanted to become a vegetarian, while on a trip to California. My mom had no part of it and ordered me to eat meat while I cried. I currently eat red meat now, but I gave it up for almost 10 years when I was in my 20s. But I became severely anemic and it makes me feel good when I eat it. So there you have it. Anyways, back to this craft. I like to use things I have around my studio. Recycle, upcycle, whatever. I just like to use what I have. 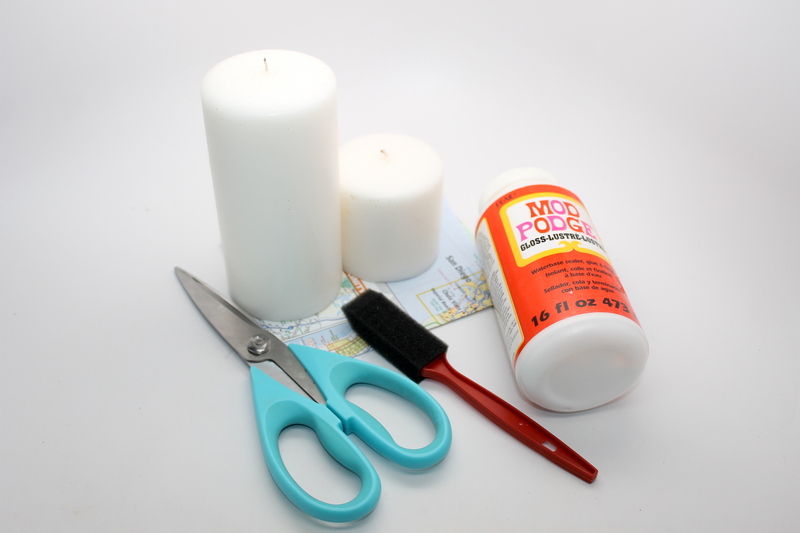 I have so many supplies, I think I could own my own craft shop. 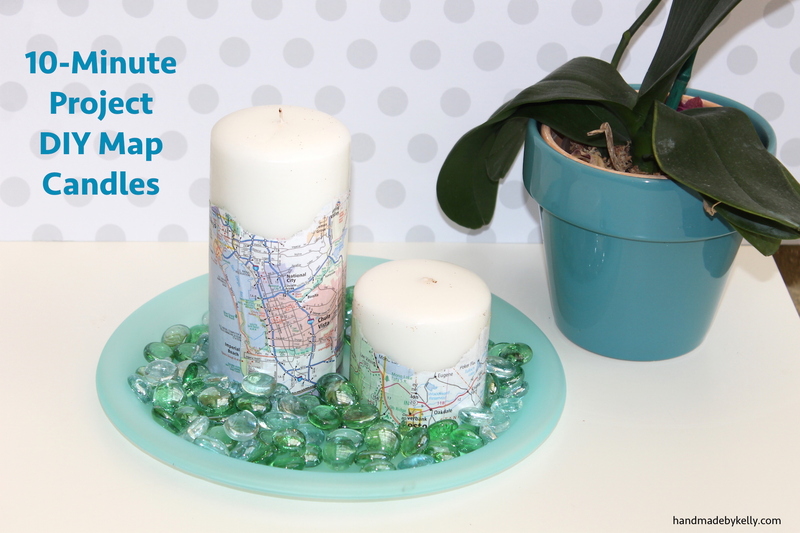 So, looking around my office, I found an old map from a project that I did a few years ago and some candles that I used for a project this past Christmas. And ding, ding, ding!!!! 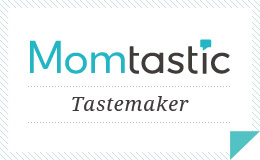 We have a winner. 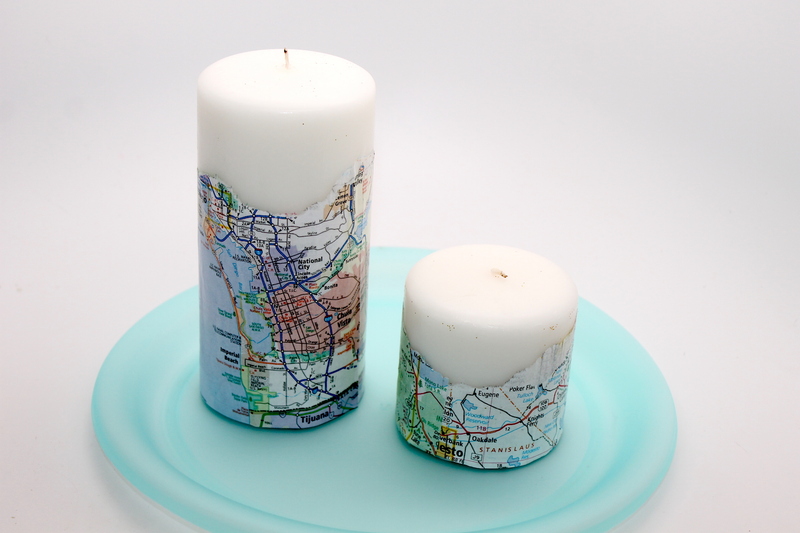 Map candles! First off, I love old maps. I love the muted blues, greens and pinks. 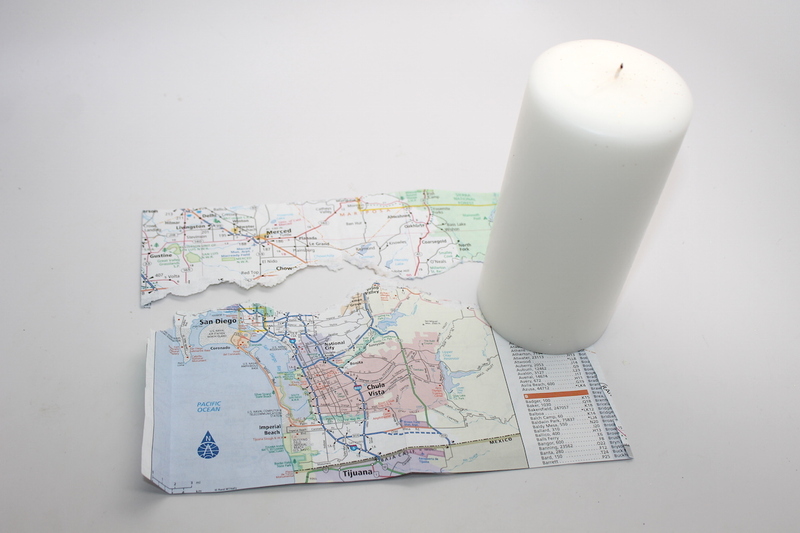 I love the mystery of maps and all of the dreams of road trips they hold. Literally, this project took less than 10 minutes. I’ve been wanting to add new décor to my house, switch things around and spice things up. 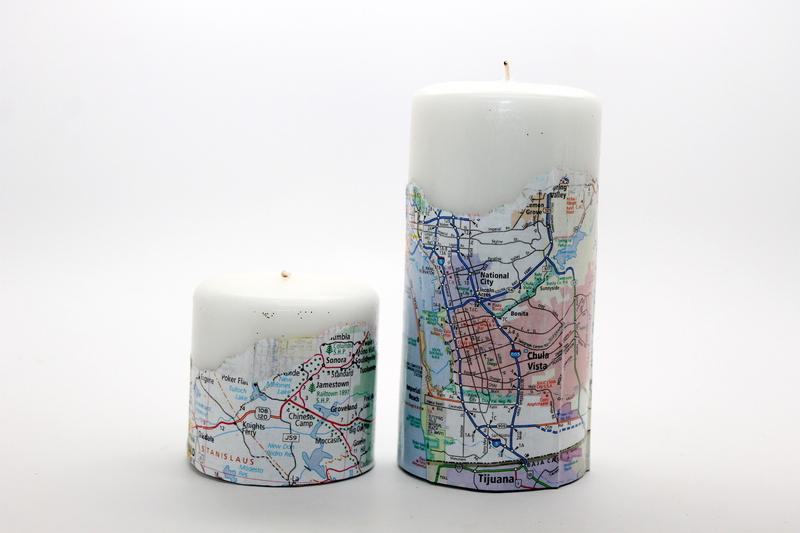 Instead of going to Pottery Barn and buying each candle for $25+, I thought I’d just make it. 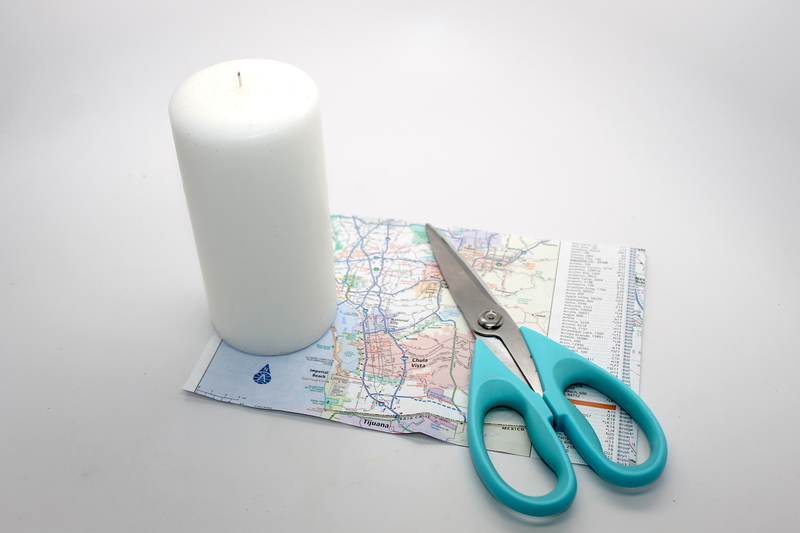 Step 1: Cut a portion of your map to fit your candles. 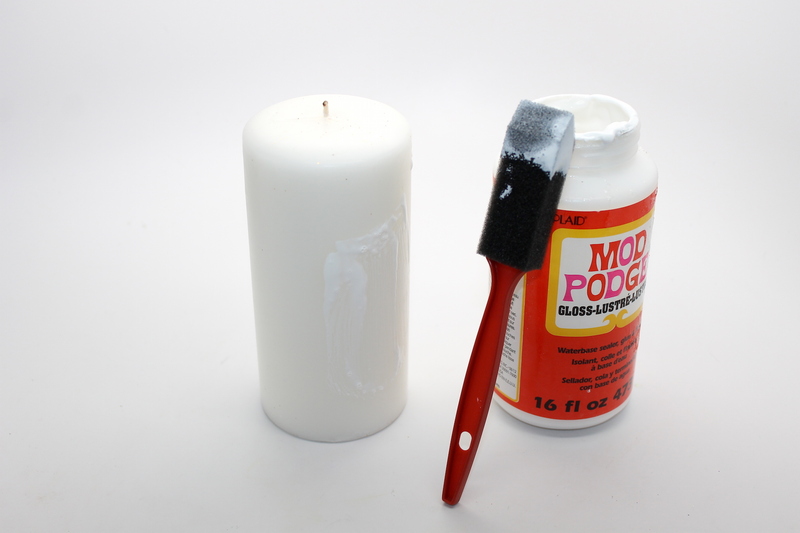 Step 3: Spread Mod Podge around your candle. 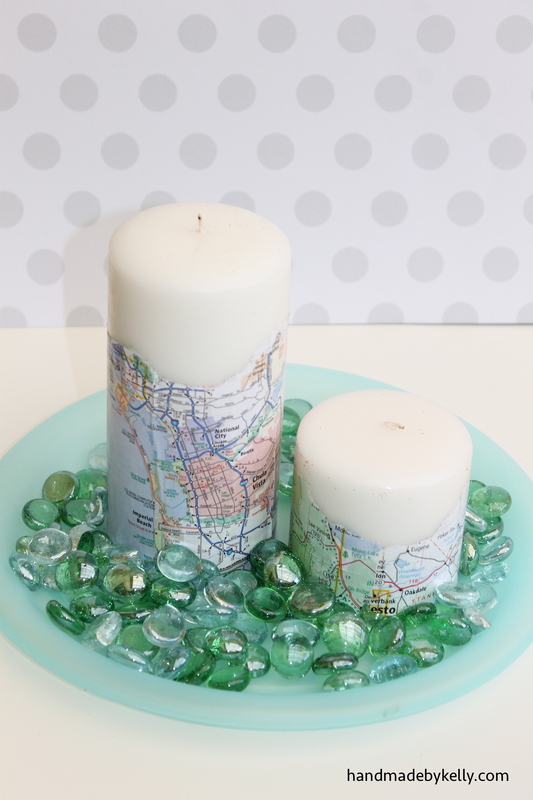 Step 4: Place your map on the Mod Podge and layer another coat of Mod Podge on top your map. Let dry. Project complete. Told you it was easy!